More than a diet book, the Alzheimer's Prevention Food Guide is your source for making brain-healthy dietary choices—making it easy to incorporate mind-nourishing foods into your life. 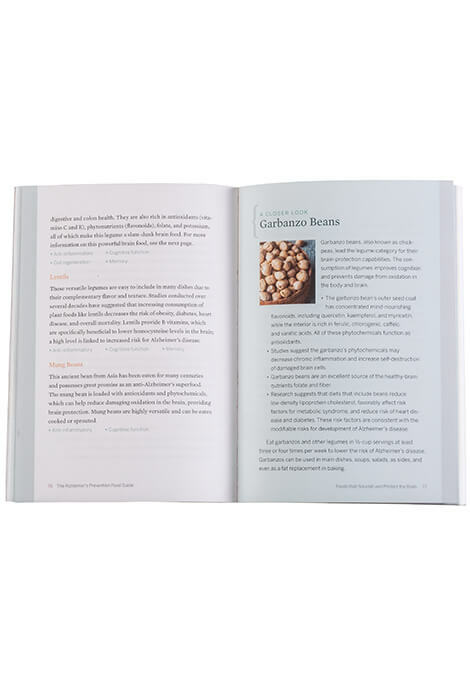 Co-authored by registered dietitian nutritionists and researchers who've experienced Alzheimer's in their own families, this quick nutritional reference book can help you start eating your way to a healthier brain today. 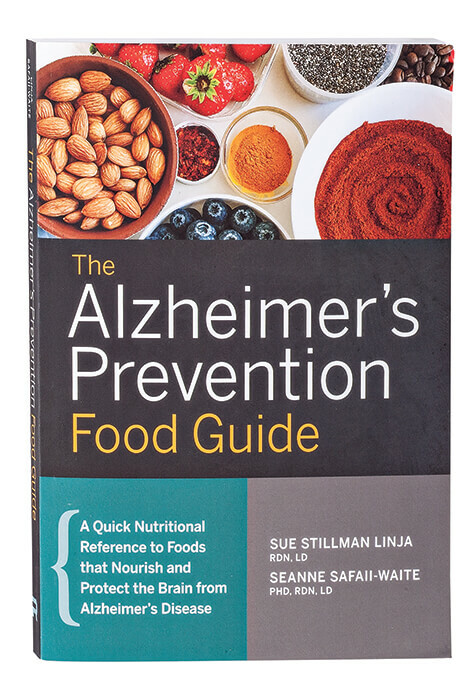 Until there's a cure for Alzheimer's, dietary changes may be your best defense, making this book invaluable to every family. Chapters include "The Alzheimer's Diet Connection", "Brain Boosting Diets in Perspective", "Foods That Nourish and Protect the Brain" and "The Meal Plans". Softcover with full-color photos. 176 pages. 8 1/4" x 6".